Tata currently has total of 66	car models in India. Tata Cars price starts from ₹ 1,50,000 . Click on the below images to see the details of each models. 'Technology for tomorrow,' says Tata and firmly believes and achieves it with spending 2% of its turnover on Research and Development alone. Tata ensures safer environment and safer driving. Tata being primarily based in India understands the needs of the Indian customers and manufactures vehicles that suit the Indian customers in terms of their purchasing ability, comfort, luxury needs, utility and the need for space. Tata's vehicles are said to be more than comfortable and spacious in their interiors. 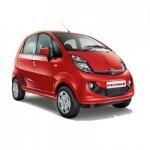 Most of Tata's vehicles are available in all price range, models, variants etc. 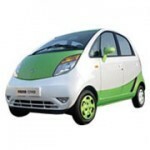 Already Own a Tata Car? * Tata may not sell all the car listed here in all showrooms. 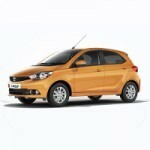 Price of Tata car listed here are dealer price only not the on road price of the car. Tata car pictures are for representation purpose only. To book and know the on road price of any Tata car click the buy now button. Hi,Iam pleased with the TATA service.My Indigo eCS clutch failed in 6025kms.it was done in s jiffy really no jokes.It became a prestige issue to TATA service engineers.Now I find a noise in the rear door side and was done well.Look baby it depends on how u present the complaints to them.Yes the pickup of my diesel eCS is a class.rpm and acceleration factor and the gear shifting matters.I get 22km in city.Highways 27km with n without aircon.A good buy for the price 6.28lac on road.